Do Americans pronounce water as Wadtdeerr? Have you been watching the Simpsons? There is one character who called it that, but I think it was supposed to be a play on a Boston accent. My favorite youtube mechanic, ChrisFix, pronounces it "wooder." In his videos he often has a spray bottle of soapy water with a label "soapy wooder." That's part of his charm. After all, how we pronounce words is affected by the shape and agility of our mouth. 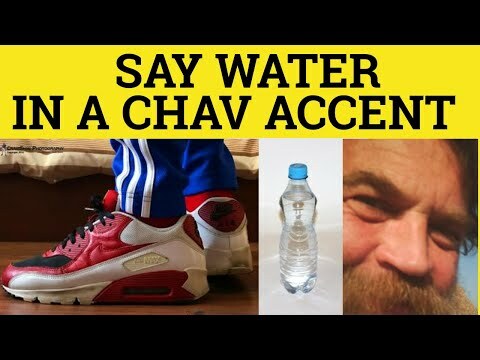 Depends which American accent the person has when saying 'water'. If you heard me, a Londoner, say 'water' you may not even recognize it. We use the full glottal stop here, the letter 'T' does not exist. wahtah water worter. depends where you are. It depends on what sort of an American accent you have. People from the Deep South, Northern New England, and the Midwest all pronounce it differently. Some do. Just as some Britons say "wor'er". nope, it is just wat-er, although some people screw it up and pronounce it war-ter. Is the best definition to kill someone with kindness and make them wonder why they were so mean to you in the first place? Please help ... What is meant by 'off the shelf' here in this context? Thanks?